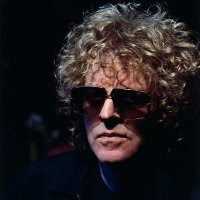 With the Mott The Hoople reunion gigs taking place this weekend in London, the first time in 35 years that the band have played together, I thought it would be good to hear some more from their front man Ian Hunter whose solo career has kept him in touch with us in the passing time. 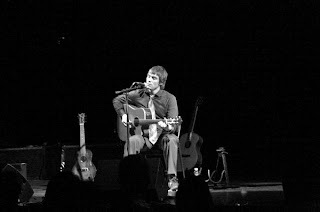 During that time Ian has released some excellent solo material and continues to occasionally tour. Performing live on the free Town Lake Stage located at Auditorium Shores, Austin, Texas, back in March 2005 during the SXSW festival, this is Ian Hunter performing a mixture of solo and classic Mott The Hoople material along with an excellent band. Genre: Rock, Hard Rock, Glam Rock. Hollands are from New York and have a new EP out on the 13th October called 'Mother'. They are a mixture of rock'n'roll, strings, pounding drums, driving guitar, but add into all of that some cello, violin and some softer moments and you have Hollands. This band have my attention and the individual members have some very strong backgrounds in the music business, however for once no name dropping, just a strong emphasis on checking them out. I personally reckon we will be hearing more about these folk in the coming months. As mentioned the EP Mother is out on the 13th so keep an eye on their website for more details and enjoy! Secondstar is Liam Carey and a few other fine musicians. With a new EP out called 'Teeth' which is best described as a mixture of alt-folk-rock with guitar, banjo, layered vocals, drums, cello and whistling and with bunches of harmonies. Secondstar are in my opinion worth checking out if the above description gains your attention. The band live in Brooklyn, New York, and a follow-up EP called 'Feets' should be out in a few weeks. You can find out more about Secondstar at their MySpace site along with details of getting hold of a copy of 'Teeth', and of course stream a few more songs there. This is the The Troggs live in concert in Dijon, France, back on the 5th October 1981. Famous for a number of sixties hits including 'Wild Thing' the band found a sympathetic ear at French label New Rose in the 1980s, the label releasing 1982's Black Bottom LP. 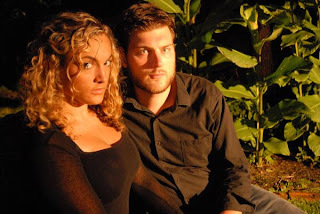 This concert would therefore be around the time of the recording of the album and some new material is featured, and with a release on the horizon touring in France made eminent sense. It is fascinating hearing them do covers of Buddy Holly and The Stones with Reg Presley's accent & vocal style putting a 'Troggs' slant on the proceedings. 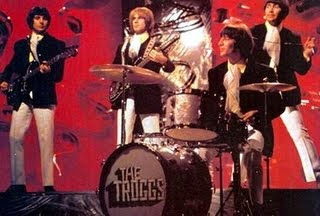 I never thought of The Troggs as a 'play it loud' rock'n'roll band, I stand corrected!